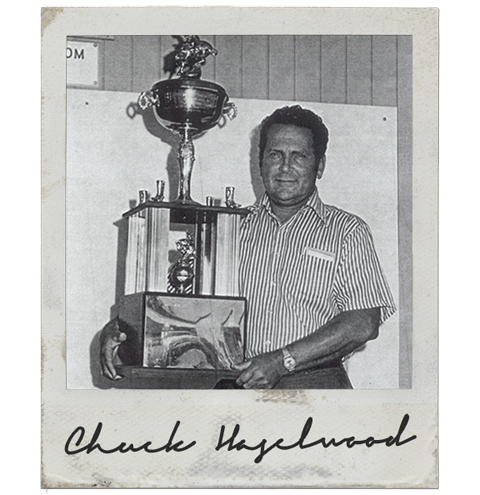 Charles Haselwood was born on May 11, 1923 in Ellensburg, WA. Rather than remain in Ellensburg with his family to follow in their footsteps as a farmer, Chuck made the decision to hitchhike to Bremerton to begin a new life. Haselwood worked at the Speed Service gas station in downtown Bremerton. He left Bremerton briefly to serve in the army under General Patton. Upon his return to the US, Haselwood opened his very own gas station. 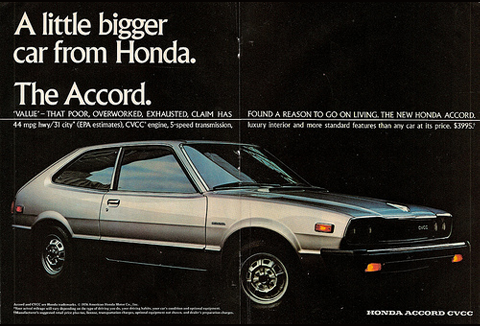 During the time that Chuck co-owned and operated the gas station, he also sold used cars on the side and found success in the industry. Chuck Haselwood opened up his first used car dealership in downtown Bremerton on 6th Street. He offered a 30-Day Warranty - unheard of at the time - and built his business on putting the customer above everything else. Ford approaches Chuck with Edsel - what is supposed to be a turning point for Ford. 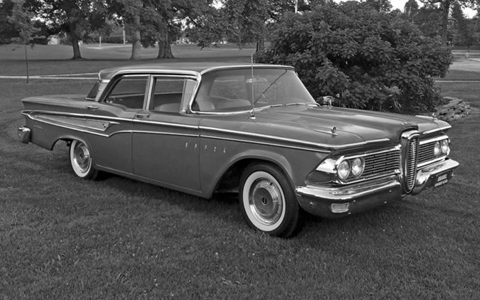 Two years later, the Edsel unfortunately did not take as Ford hoped it would. Chuck then returned to selling used cars. After Seeing the Buick Riviera for the first time, Chuck instantly bought in. He was well known for driving his Riviera for over 20+ years. 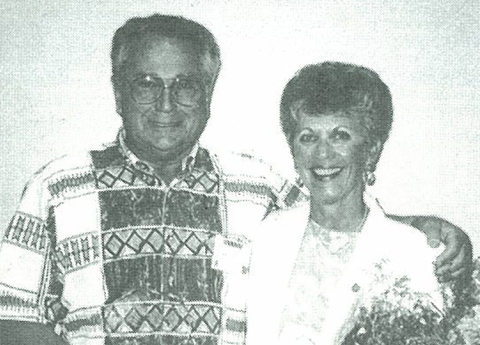 Chuck hired Joanne in 1966 as a receptionist and bookkeeper at his Buick dealership. They were married eight years later. Together they raised six children and traveled around the world. "I remember Chuck being quite reserved when I first went to work for him," Joanne said. "He was very much the boss but everybody really respected him." A funny-looking car called Honda enters the scene. They offered small, fuel-efficient vehicles during a period of limited resources and high fuel costs. 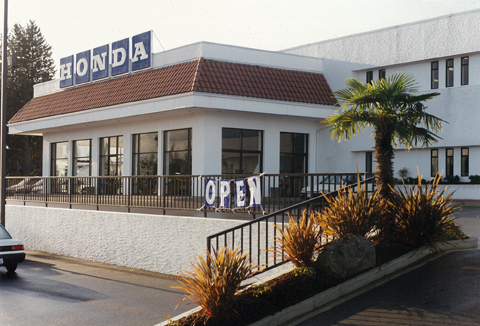 Seeing Honda as a diamond in the rough, Haselwood opened the first franchise in the entire country. Chuck Haselwood's stepson, Rick Wiler joins the West Hills team and begins running the Buick store. He later becomes the President and Owner of the Haselwood Auto Group. A Kia franchise was acquired and was one of the first 25 Kia dealerships in the country. 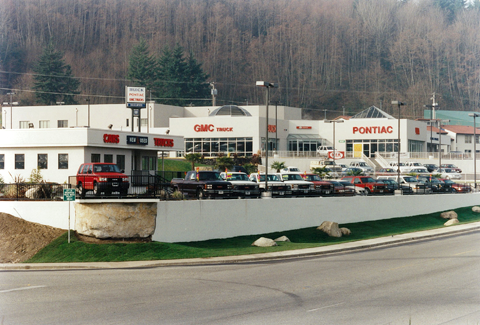 Two dealerships were built during a period of expansion for the group, the Buick Pontiac GMC facility and the stand-alone Toyota dealership. By the end of 1994, there were over 200 people on staff. Time magazine, in association with Goodyear Tire and Rubber Co. and in cooperation with the National Automobile Dealers Association, annually recognizes outstanding franchised new-car and truck dealers for exceptional performance in their dealerships combined with distinguished community service. 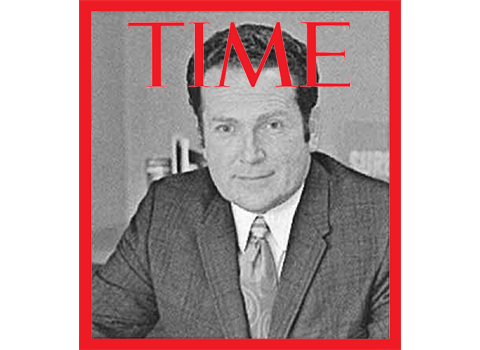 Time received 74 nominations from auto associations in 47 states for its 29th annual program and Chuck Haselwood was awarded the Time Magazine Quality Dealer Of The Year. After only 45 days of purchasing a new Oldsmobile franchise, GM announced they were discontinuing further production of the Oldsmobile brand. In response, Haselwood Chevrolet joins the family and gets a new home with an all-new, state of the art facility featuring the latest automotive repair equipment and electronic tools to properly diagnose your vehicle. Full-service General Motors repair shop, factory authorized to repair all Chevy, Buick, GMC, Pontiac, and Cadillac vehicles. The new Toyota facility opens and with it comes an unusual twist. Haselwood opted to put palm trees in front of the building to let customers know that this dealership is a wonderful place to be. When General Motors operations were combined and Dodge was added to the mix, the Chrysler Jeep Dodge facility was constructed. Customers of the West Hills Auto Plex remained loyal due to the superior customer service. 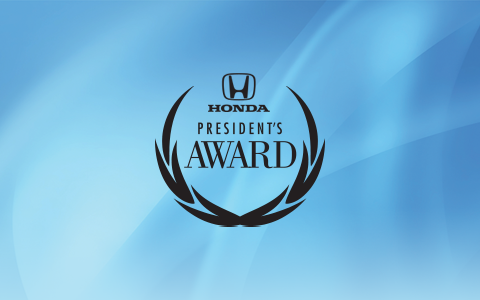 West Hills Honda has won The President's Award in 2008, 2012, 2014, 2015 & 2016. The President's Award recognizes those dealership teams who have demonstrated professionalism and an unwavering pursuit of excellence in all areas of operation - customer service, sales, training and facility operation. 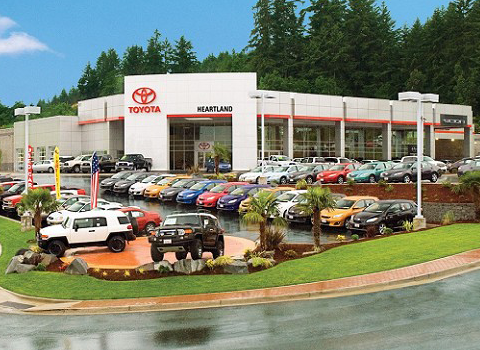 Beginning in November and finalized in December of 2015, West Hills purchased the Parr Dealership Group. 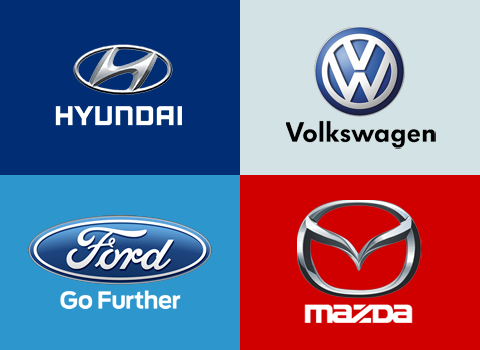 This added 4 new brands to the mix which included: Hyundai, Volkswagen, Ford & Mazda. "From our beginnings, we've made it our highest priority to continuously exceed the expectations of our customers by providing unsurpassed service and value. 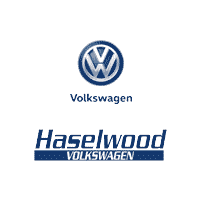 For, if it weren't for our customers, we wouldn't have a business at all..."
"At the Haselwood Auto Group, you will be sure to find exceptional service in every aspect of our dealerships. For us, your purchase marks the beginning of our relationship, not the end of it." 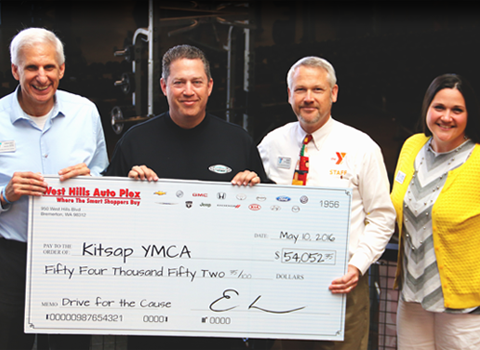 Joanne Haselwood pledged $2.5 million toward the new YMCA on the Central Kitsap Community Campus, naming it the "Haselwood Family YMCA" in honor of her late husband, Chuck Haselwood. 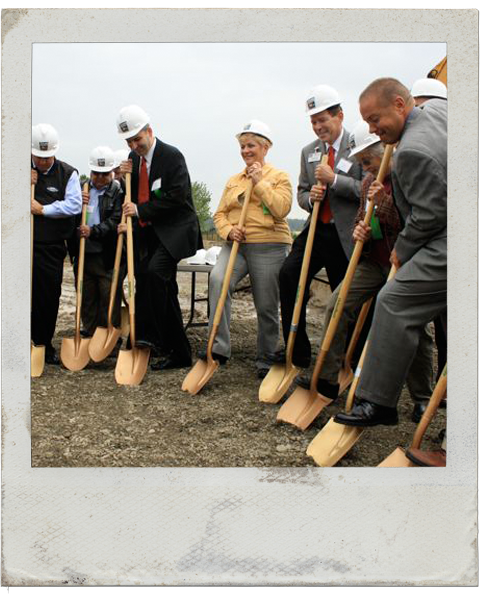 Chuck believed that his community gave him a lot, and he always said, "I want to give back!" He wouldn't have had this opportunity without this community. With this being said the Haselwood Family Foundation was created as a way to give back. Helping youth was one of Haselwood's main philanthropic interests. 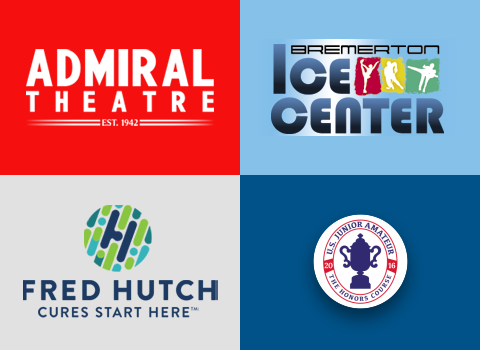 The West Hills team takes monumentous pride in aiding the local community and consider it a privilege to donate or sponsor these organizations in the Bremerton area. It's their humble way of saying Thank You! These represent just a small number of the charities supported by the West Hills Auto Plex.